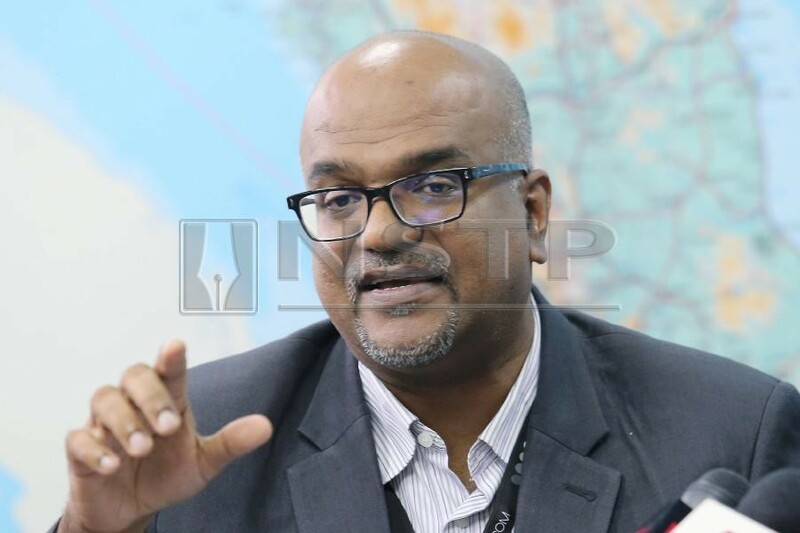 Human Rights Commission of Malaysia (Suhakam) commissioner Jerald Joseph says such laws must be adequate and stringent to protect juveniles from potential abuse against the juveniles. – NSTP/OWEE AH CHUN. KUALA LUMPUR: Two human rights organisations call for a review on laws that provide detention against juvenile without trial including the Prevention of Crime Act (Amendment) 2017 (Poca). Human Rights Commission of Malaysia (Suhakam) and Suara Rakyat Malaysia (Suaram), agreed that children detained under Poca was against the Convention on the Rights of Children (CRC) and that preventive detention was not the best interest of the children as it would give negative impact on them. Suhakam commissioner Jerald Joseph said such laws must be adequate and stringent to protect juveniles from potential abuse against the juveniles. “Any laws should not deprive a person’s right to be presumed innocent until proven guilty and to be given a free and fair trial before a court of law. “It is important for the government to undertake all appropriate legislative, administrative, social and education measures to protect the child from all forms of abuse and maltreatment in the prison. However, as a last resort, detention on children shall be used. “No children should be detained under Poca or any laws which allows detention without trial. In line with article 37 (b) of the CRC, it is recommended that the arrest, detention or imprisonment of a child shall be in conformity with the law and shall be used only as a measure of last resort, and for the shortest appropriate of time. “As for children detained under Poca, the commission urges the authorities to either release them or charge them in open court. “The government should also implement a wide range of measures to ensure children are dealt with an appropriate manner and proportionate to the offence committed,” he said in a joint press conference with Suaram on the children detained under Poca issue here. The commission also suggested that the government shortened the detention without trial period towards children who are detained under Poca. Jerald said the current 60-day detention without trial period was too long. “Between 2015 and 2018, we received 59 complaints on the used of Poca. The detainees claimed that during the 60 days detention, there were abuse and ill-treatment by the police. “Among the complaints were the detainees were brought to various district lock-ups before their detention under Poca. They also claimed that they were beaten and abused during the investigation process. “They also did not receive proper medical treatment and were not allowed to meet their families during their arrest,” he added. As of 2017, there are 142 children detained under Poca, of which 10 of them below 18 were arrested for theft-related cases. Meanwhile, Suaram executive director Sevan Doraisamy urged the government to release all juvenile detainees who were detained without trial. He said other lenient solution that the government could implement and assist the children was to put them in rehabilitation centre. He also said these children should be given a fair trial in court if there was strong evidence on the offence committed. Also present at the press conference were Suhakam commissioners Prof Datuk Dr Aishah Bidin and Datuk Lok Yim; and Suaram legal advisor Farid Mohammad. Poca are among the laws that Pakatan Harapan government had described as oppressive and tyrannical in its election manifesto for the 14th general election. In the manifesto, it promised to revoke Poca and abolish the laws including Security Offences (Special Measures) Act 2012 (Sosma) and Prevention of Terrorism Act 2015 (Pota). This entry was posted on Wednesday, January 30th, 2019 at 7:32 pm	and is filed under Educational Issues. You can follow any responses to this entry through the RSS 2.0 feed. Both comments and pings are currently closed.